To serve as responsible stewards of the land and resources in the State of Oregon by protecting and preserving all lands and resources in the tri-county area from the degrading impact of exotic, invasive noxious weeds. Jan. 2, 2019: Are you a licensed herbicide applicator? We are seeking contractors for our 2019 spray season. Click on the "Helpful Info" page to find out more. There will be a manditory contractor's meeting in February 2019, those interested are welcome to attend. Contact us for more details. During the early 1990s, land managers recognized that controlling noxious weeds at a landscape scale required a multi-jurisdictional level of cooperation. With that in mind, the local governments of Baker, Union, and Wallowa Counties, along with the Bureau of Land Management, U.S. Forest Service, Oregon Dept. of Fish and Wildlife, and Boise Cascade agreed to form a cooperative weed management area. In December of 1994, Tri-County CWMA was formed by an Intergovernmental Agreement under the legal authority of ORS 190.010. Since founded, Tri-County has grown from a single part-time position, to a group of full-time staff, managing over 35 different projects, covering nearly 8 million acres. Tri-County recieves no tax revenues, local or state. The primary source of funding is through Federal and State Assistance Agreements, which providing revenues for specific projects and staff time. Some of these agencies include, Bureau of Land Management (BLM), U.S. Forest Service (USFS), Natural Resource Conservation Service (NRCS), U.S. Fish and Wildlife Service (USFWS), and Oregon Dept. of Fish and Wildlife (ODFW). 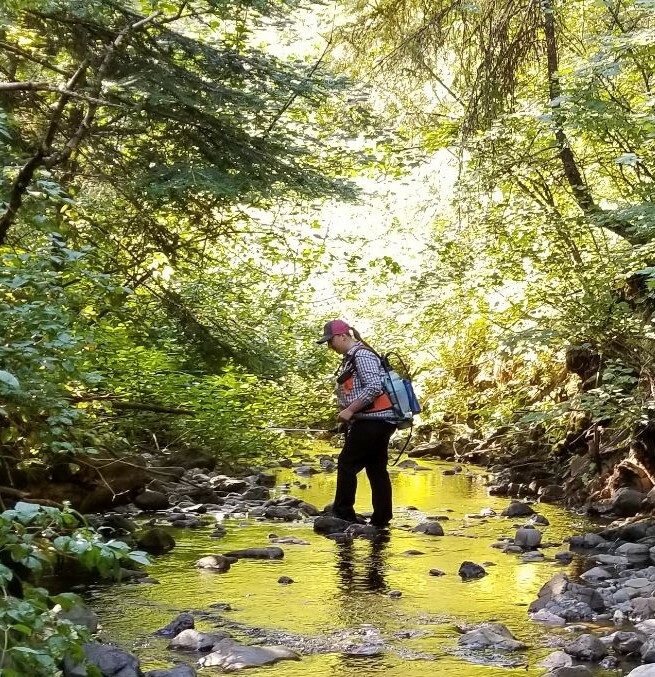 State grants, such as those from the Oregon Watershed Enhancement Board (OWEB) and the Oregon State Weed Board (OSWB) and county contributions make up the remaining funding sources. For nearly 25 years, Tri-County has played an essential role in the local communities of Baker, Union, and Wallowa Counties. Most of Tri-County's projects are on federal lands and adjacent private lands, usually with a specific target weed species. Other projects, funded by the OSWB, OWEB, ODFW, and/or NRCS, are done on private lands in coordination with neighboring public lands. Tri-County hires local, licensed, commercial pesticide applicators to complete these projects. While Tri-County is not be able to fund projects on all private landowners, working with the county weed departments to provide landowner cost-share can help fill in the gaps. In addition to "on the ground" work, Tri-County also coordinates and participates in outreach events, including: Baker and Union County Outdoor Schools, County Fairs, FFA/4-H competitions, Union County Crop Tour, conference or university presentations, and developing/distribution NE Oregon Noxious Weed Booklets.